Blasting Echo – Memphis Tennesse transplant, singer-songwriter Josh Heinz and Jeff Fortson co-founded this straight ahead rock project that pulls from a wide array of genres. Following the demise of their former desert band, Dufreign, Heinz &amp; Fortson joined up with Pedestrians bassist, Mondo Flores who plays drums in this configuration. Along with Josh’s wife, Linda Lemke (keys), and former Jackyl bass vixen – Laramie Eve. 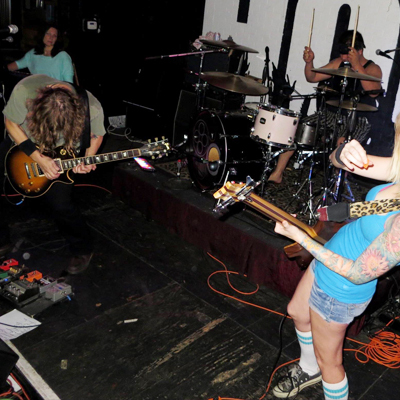 Fortson left the band in 2012. Important to note: some band members have children with developmental disabilities and in 2009 they put on the first annual Concert For Autism which gathers together the underground music community to raise funds and awareness. The concert is now in it’s 9th year.